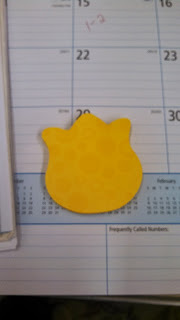 Post-it notes are awesome. 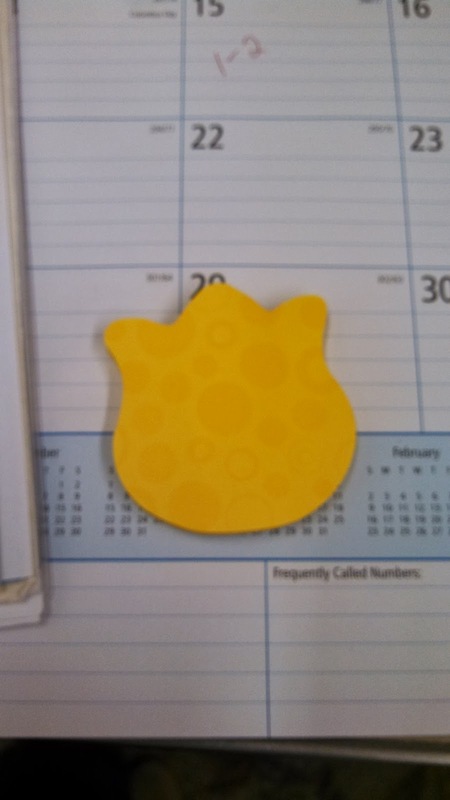 Fun shaped post-it notes are even better. This is my stack from yesterday. It's pretty light reading.I'm interspersing these books with The Brothers Karamazov on my Kindle. I read a chapter of that, and then another book. It keeps me from getting that dark, Russian feeling. 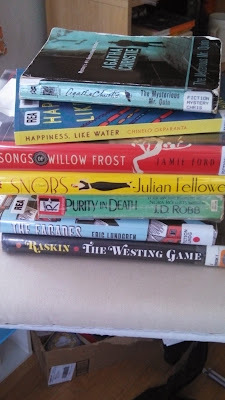 Stacks of library books are one of my life-long happy things. I know some of you are going to totally crack up when you see this one. And some of you will not get it. For over two years, our house has been, at some level, a construction zone. Right now there are a few big projects that need to be done, like pretty much gutting the kitchen. There are medium projects that need to be done, like shoring up the basement stairs and pulling through all new wiring. And there are small projects that need to be done. LOTS of them. One of the small projects was done yesterday. The people who lived here before us thought that changing the heating system so that the heat on the second floor comes from above was a good idea. (Don't get me started. . . .) So there were openings for heating vents in all of the ceilings from when we redid the ceilings during the Great Mold Eradication of July 2011. Openings. Without vent covers. 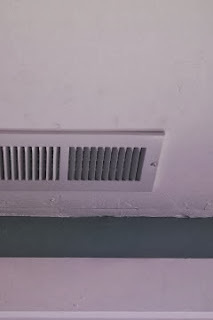 As of yesterday, there are vent covers. SO, SO HAPPY! Sometimes, it really is the little things. 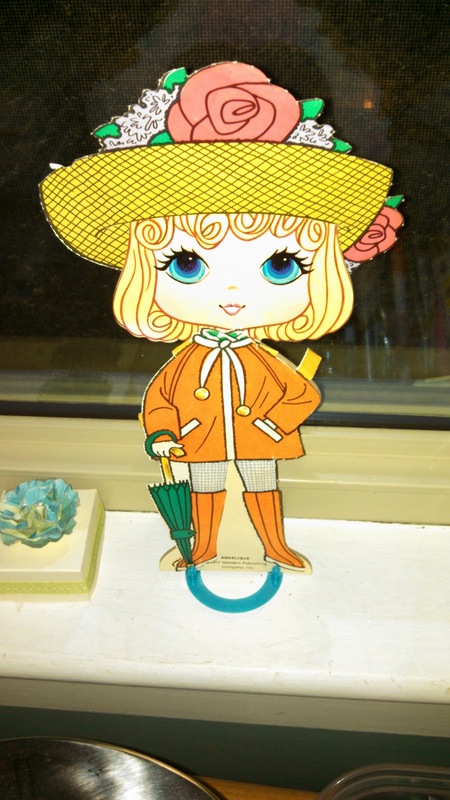 Now Angelique lives on the window sill in my office/scrapbooking room. 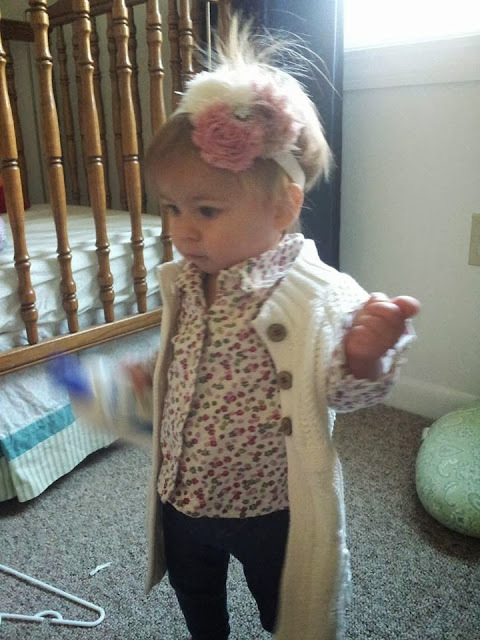 I change her clothes frequently. She makes me smile every time I look at her, remembering my Grandma, how much I looked up to my cousin--who was 10 1/2 months older than me and thus my ruler--and the hours of fun that I had with paper dolls when I was a kid. 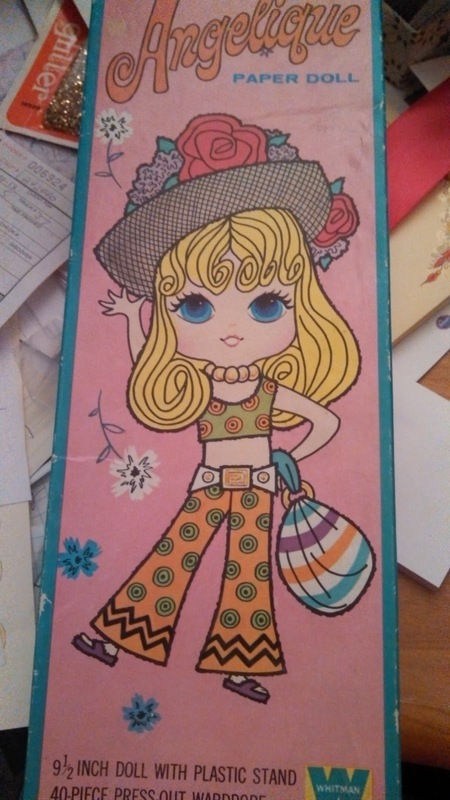 Side note: My dad's younger sisters had an incredible paper doll collection that was at my Grandma Caston's when I was a kid. 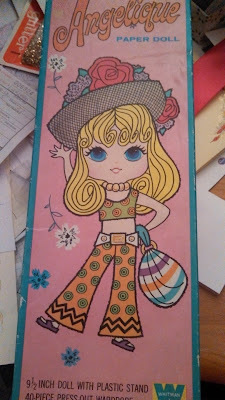 I always felt so privileged that those sophisticated college students would let me play with their paper dolls. Tonight I need to post a multi-part happy thing. I had a lovely afternoon hanging out with my husband. After some work at church and some storing up of food, we ran a few errands. We stopped by JCP to see Patrick and arranged for him to meet us at J.K. O'Donnell's when he got off work. We did a little shopping and I compared grips on a few possible replacements for my Ruger. Then we went to JK's. This is one of my favorite relaxing places to go. They have a great beer selection and good pub food. I like to sit by the window and watch people downtown. 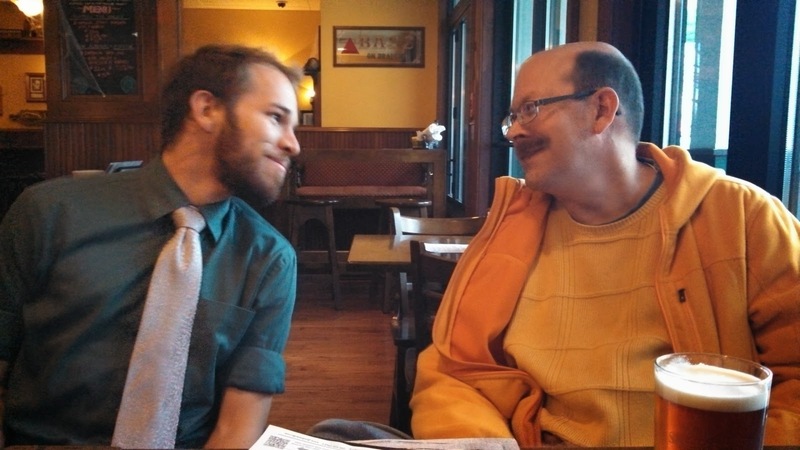 Happy thing #1, my husband of over 27 years, who I do not get to see nearly enough of. 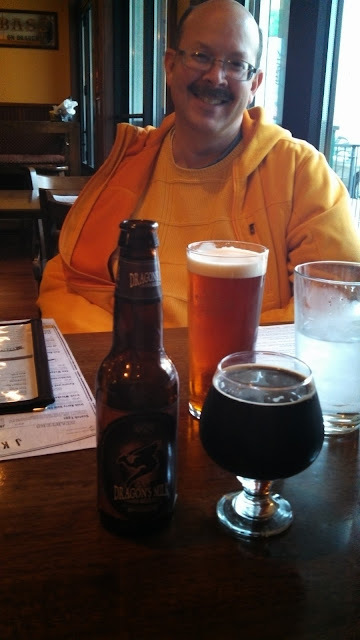 Happy thing #2: Dragon's Milk. This is one of my favorite beers, but because it is expensive it is a very occasional treat. Tonight's date was one of those occasions. Happy thing #4: My dinner. 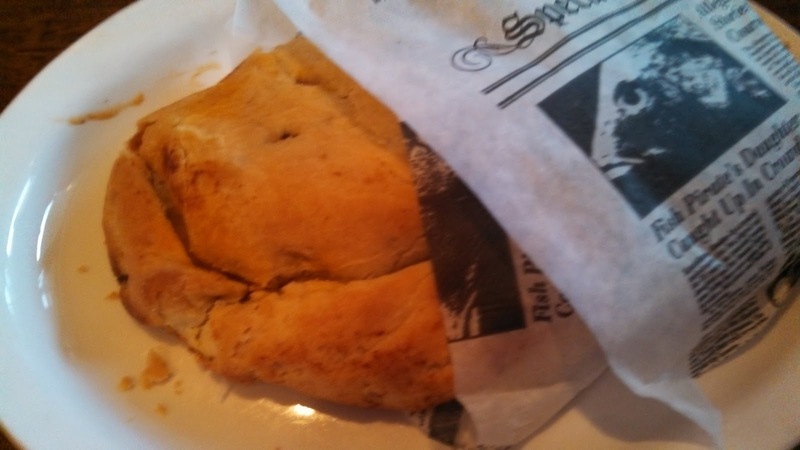 A Lamb Pasty. I get cravings for this thing. So lots of happy things all in one happy evening. Today was an incredibly busy day and I've been on my feet since 9:00 a.m. 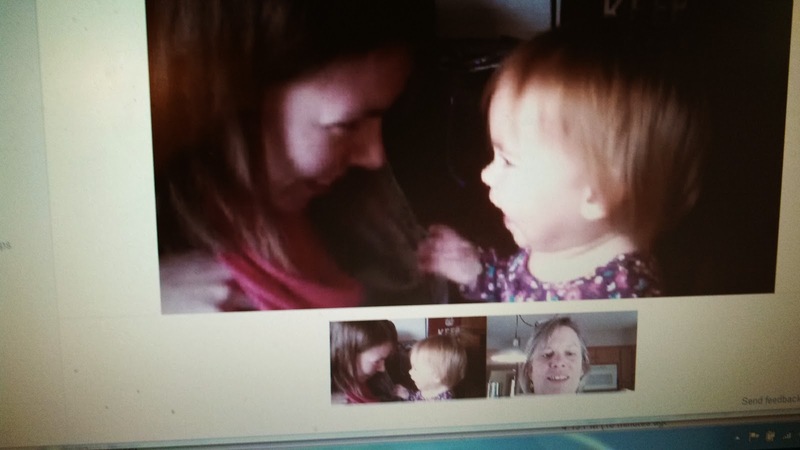 I didn't get a picture taken, so I'm going to share with you one of my happiest of happy things. This is the beach on Siesta Key. At sunset. With birds. This is one of my favorite places in the world. We go every few years, and I can't wait to go back. Just the fact that is exists makes me happy. This is a peek at our main guest room. It is a happy room. 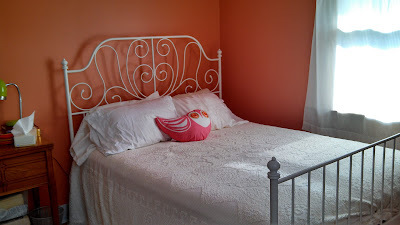 I love the color, the bed from IKEA, and the happy Jonathan Adler pillow. It is still a work in progress. 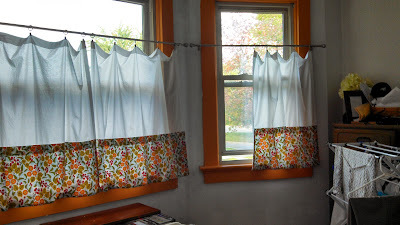 I need to figure out window treatments, and there are a few other things that I want to do, but it is an increasingly pleasant room for company. And that's the other reason this is a happy thing. I love to have company. And part of the reason that the room is so happy today is that EC, the Mad Musician, and Sparkle Kitty arrived this afternoon. 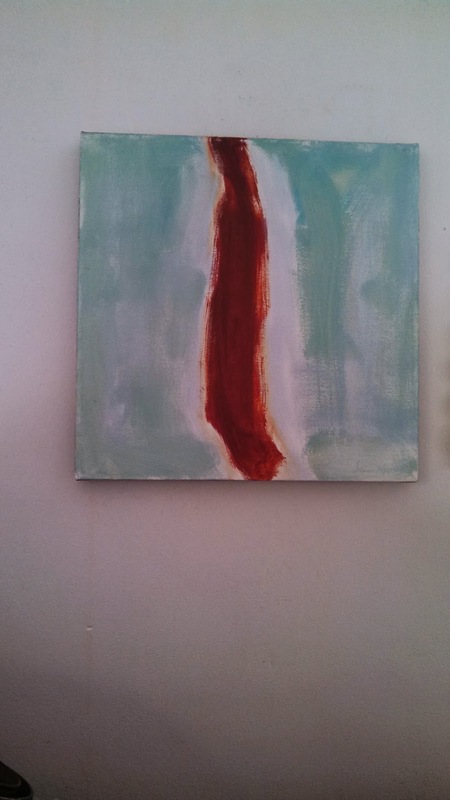 This painting greets me every morning when I wake up. I see it when I walk into my room. I have gazed at it in different kinds of light. It is called Waiting, and I can see that in it. But there is a forward motion in the figure that says to me, waiting, but actively. Moving forward. There's something restrained, but hopeful. This isn't a great photo. It doesn't capture the colors well. It captures the feel, to a certain extent, but not completely. The only remedy is to come visit me, so you can see it. And that would make me happy, too. Tonight you get several pictures. And quite a few words. I had a very rare entire day at home today. It was my day off work and I didn't have a car. I had decided last night that I was going to tackle our unmatched sock monster today. And I did. But that's another story. While I was working on the sock project, I decided that I should work on the linen closet. And then, while I was at it, I decided to work on the linen press, too. This is my linen closet. Nothing is falling out or falling over. Tomorrow I will use my label maker, which I keep at church, to label the spots where the post-its are. On the top shelf on the left are the queen sheets, on the right are two of the king sets and my summer duvet cover and shams, each tied with a nice piece of tulle ribbon. Below that, from left to right are full sheets, twin sheets, and pillow cases. I got rid of the pillowcases that no one likes. I got rid of a few fitted sheets that had lost their elasticity. A couple of the sheets that are no longer fit for that purpose are going to become pillow cases, since I like large pillows and king cases are expensive. I also have a list of a couple of items that we need. 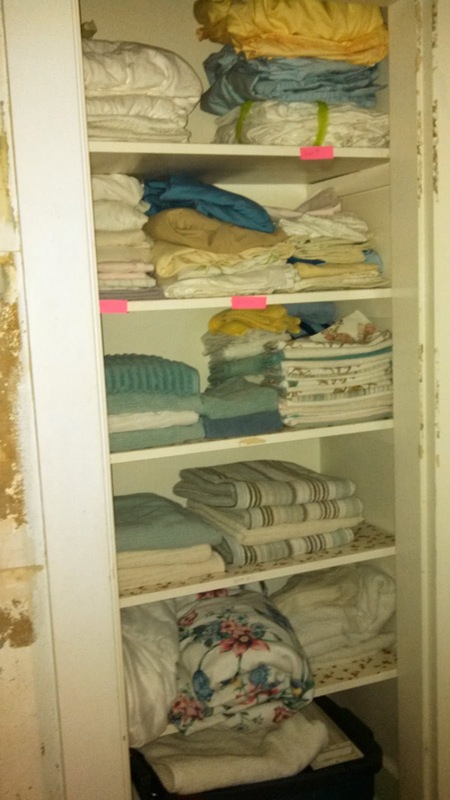 I also got rid of any wash cloths and hand towels that had gotten too shabby. Getting rid of a stack of hand towels bought me enough room that when most of our towels are clean, they will fit in the closet in three stacks. If they're ever all clean, we're in trouble. An extra mattress pad, comforter, and blanket fill in the final shelf. 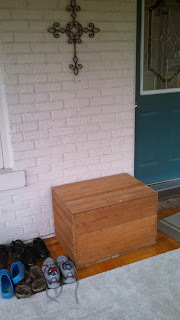 The Rubbermaid container is full of stuff for ongoing house projects, that's a good place for it, for now. It isn't Pinterest-worthy, but it is neat and functional and I am ecstatic. THIS is one of those awesome things about an old house. This is the linen press. It is across our 9'x 9' upstairs hall from the linen closet. 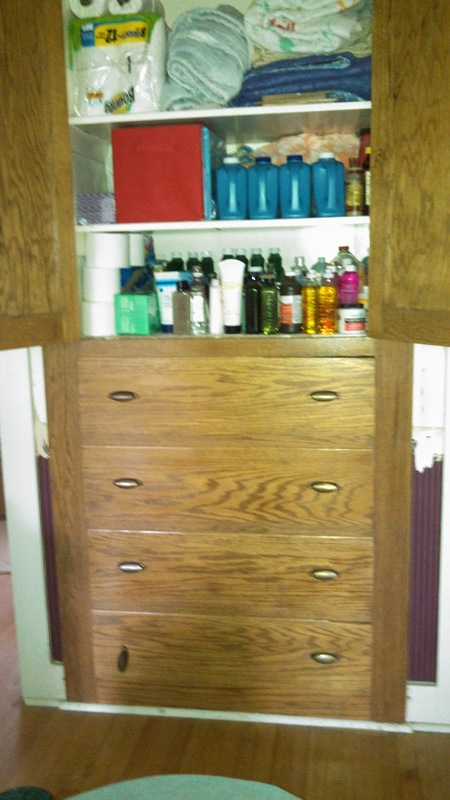 The cabinet is three feet wide and two feet deep. Nothing is falling out of it either. Everything is organized. The top shelf has back up toilet paper and paper towels, three comforters, and a blanket. The second shelf has a dozen beach towels; tissues; a tote with swiffer cloths, cleaning wipes, a few dust cloths that I can just grab quickly; and back up laundry supplies. The lowest shelf has the current toilet paper and paper towel packages, cleaning supplies, and extra personal care items. I have a rag drawer. I have a drawer for tablecloths, but they are needing a bit more room, so I'm working on consolidating the middle two drawers which have first aid supplies, hair-cutting stuff, and a lot of miscellaneous. We have a lot of linens. We have eight beds that will sleep eleven people, and air mattresses and couches to accommodate another eight or so. We still have a few more comforters that need homes, but we'll get there. Tonight, these two spaces make me very, very happy. Today is a gray, cool-and-getting-colder, rainy day. I've been away from home all day, and am leaving again in a few minutes. It's the kind of evening that curling up with a book and a mug of tea sounds like one of the most awesome things in the world. That's what I'm going to do when I get back from these last few errands. And my tea is going to go into one of my favorite mugs. 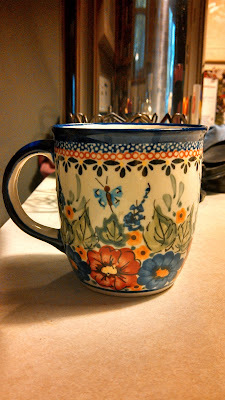 My mother-in-law has been getting me these lovely hand-painted Polish mugs for Christmas the last couple of years. I love the size and shape and the beautiful designs. I know that my coffee and tea don't taste any better out of a pretty mug, but I definitely enjoy them more that way. We have old furniture. For the most part it isn't antique, it's just old. We have old china hutches that belonged to Colin's paternal grandmother and mine. We also have Colin's grandma's old dining room table and chairs, which I have never liked, but which had the merits of being big and solid and free. 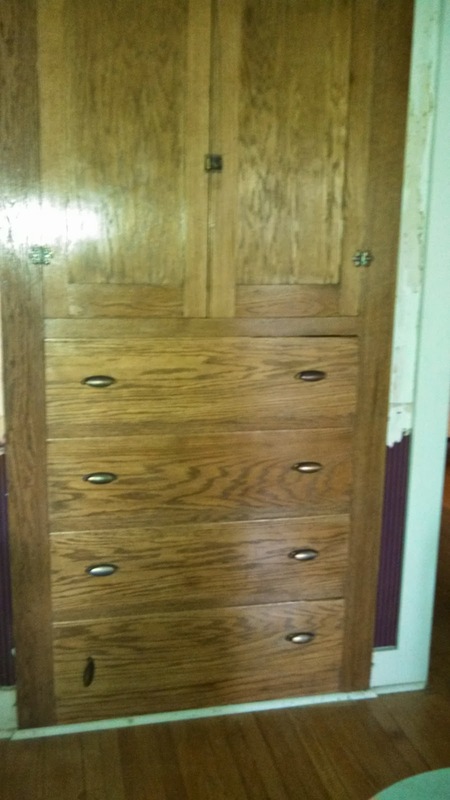 We have my in-laws' old dressers and one that my brother and I had growing up. We have lots of cast-off bookshelves. 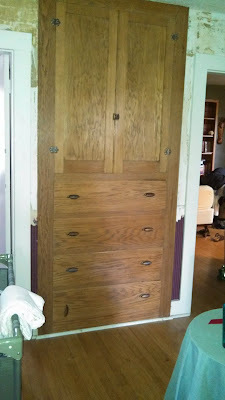 We do have a few pieces of quality wood furniture that we bought unfinished and Colin finished. We have a couch that we shopped for for months, that we spent what was for us a huge amount on, that is going to be the ONE COUCH for the rest of our lives. We have two upholstered chairs that were my grandma's that we bought for $25 when their things were auctioned, that are now in pretty severe need of reupholstering. I don't spend money on furniture. Especially not on a whim. But I did last December when we were in Tennessee for my nephew Matthew's wedding. I found this dresser. Showed Colin. Went and had lunch. Measured the space in the back of our van. And went back and bought it. This is my dresser. I love it. I love the Eastlake style. 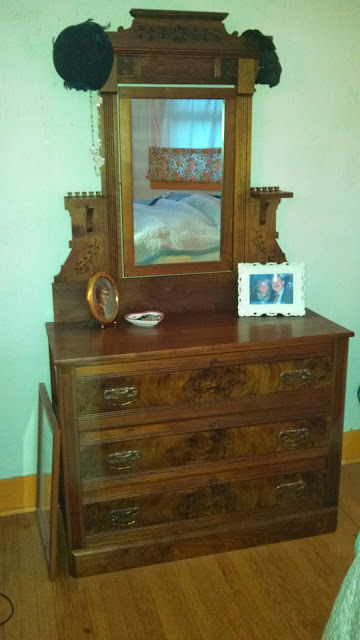 I love the burled wood on the drawers. I love the fact that the ornamentation has the imperfections of hand-carved wood. It seems so at home in my old house. Each day when I get dressed, my dresser makes me smile. Some of you are going to laugh at this one. I know it. If you know me well at all, you know that rock is my usual music of choice. But I have pretty eclectic taste in music and have a little bit of folk, country, R&B, Sinatra, and even some rap in my collection. I've also been known to listen to Sunday Baroque on NPR. And I love hymns. 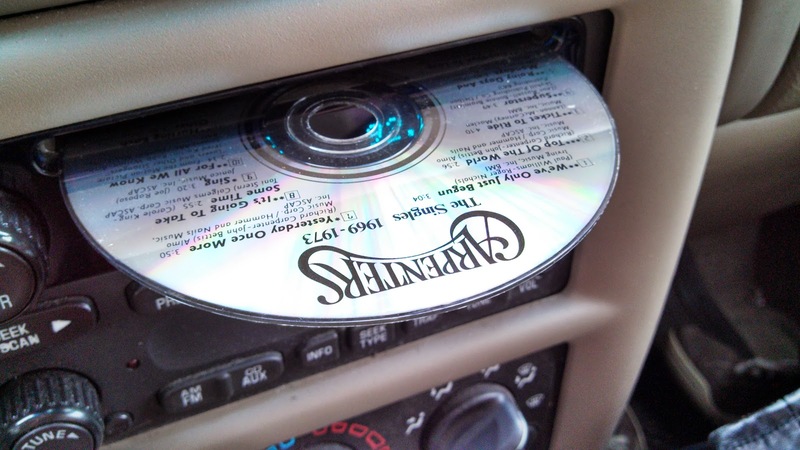 I have loved the Carpenters since I was a little kid. But the reason that this CD is one of my happy things is because Karen Carpenter's voice is JUST PERFECT for me to sing along with. When I sing along with Karen, I feel like I can really sing. For my fourth post on the things that make me happy, I vacillated. There are two things that I really wanted to post today. But I ultimately decided to go with this one, because of the timing. Seven years ago Tuesday, my Grandpa Beery died. He was 93 and had had a good life. He was happily married to my grandma for 70 years. He was loved and admired by his grandchildren and great-grandchildren. He was always one of my favorite people. He is now enjoying Heaven with my sweet grandma, waiting for the rest of us to join them. 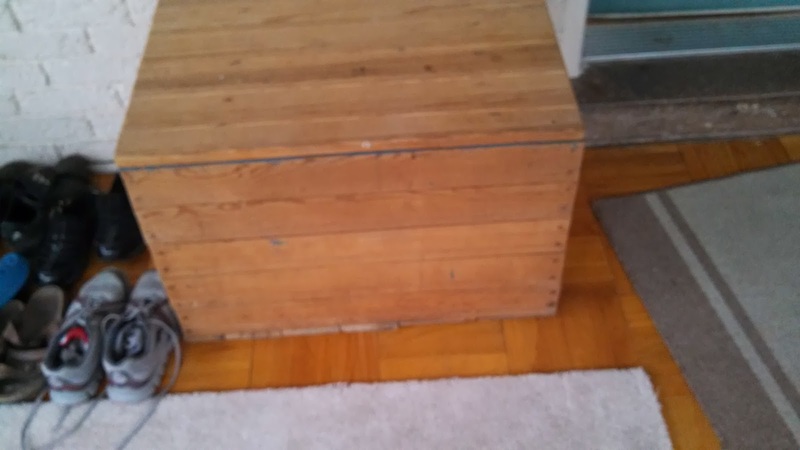 This box is something that he made when he was young. I am not sure how old he was when he made it. My mom might know. It sits on my enclosed front porch in its well-made, but rustic, glory and holds our boots and serves as a seat, if need be. 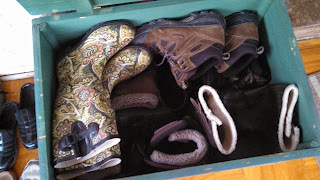 By the way, this post isn't about them, but my paisley rain boots make me happy, too. Today we go back again to the more trivial, from the lofty heights of yesterday. Part of the reason is that I don't want these to be in anything that resembles an order, is so that when and if I post pictures of important people in my life I won't hear, "I always knew you loved him best." These are my bedroom curtains on part of my bedroom windows. I love my bedroom with its four big sunny windows. I knew that they needed to be covered, for privacy, but I hated to lose the view of the trees and sky that I see when I'm in my bed. I also don't love the orange trim, left from the previous occupant. 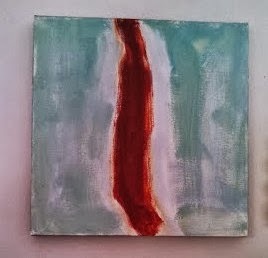 But the many paint layers need to be stripped, not painted over, so it will be with me for a while. My dear friend EC helped me figure out curtains that would let me have my view and my privacy at the same time. She helped me pick fabric that would works with the orange, while de-emphasizing it. They are airy. They blow in the breeze and don't block the light. They make me happy. Thanks, EC! This picture almost feels like cheating, because it has so many good things in it. This is a picture of my sons, walking together to church for dinner on Christmas afternoon. For the purpose of this blog post, it is my church. At the end of my street. I can see it from the sidewalk in front of my house. I can walk there in minutes. I can hear the bells in my room. I don't leave my house or come home without the reminder that God loves me and has given me a wonderful church home and church family. My first happy thing is completely frivolous. I know it. But it makes me happy. Among my many warring personality traits are the facts that I am a total disorganized messy, but I am also highly visual and clutter drives me crazy. So I am constantly looking for ways to tame visual noise, but also to have things organized in a way that works for me. Put away, out-of-sight, doesn't do it. For me, out of sight equals gone. I also like to be able to see the things that I love. I didn't love them in a drawer. Or falling off of a hanger in my closet. I do love them on this nifty hanger thingy from IKEA. They are unwrinkled. 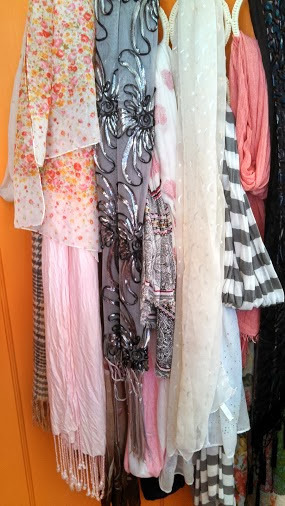 (Except for my pink pashmina, it was on the floor of the coat closet and needs ironing.) I can see them. They stay put. They hide some of the orange door. The last few weeks have been challenging. I woke up one morning a little over three weeks ago with some fogginess in my vision. I went to a local ophthalmologist and got a diagnosis and an appointment to return in five weeks. As the next several day passed, it continued to get worse, so, with some help from my mother, I found a specialist in Indianapolis who is in my insurance plan's network. They got me in the next day. We discovered that the original diagnosis, while not incorrect, was incomplete, and that the problem is both potentially more serious, but also more treatable. The first line of treatment is a huge Prednisone blast, stepped down over six weeks. My body didn't like that. I was jittery and agitated. Shaky. Couldn't sleep. Was having night sweats, achy muscles, limb numbness, and horrible mood swings. So we stepped down the amounts over the course of 10 days and now I am on half the original dose. We will continue the planned step down from here. I'm still having some side effects, but not so severe, and I can handle them if it saves the sight in my left eye. In the midst of feeling like a total wreck, I was in a total wreck. Literally. A driving lesson gone bad. 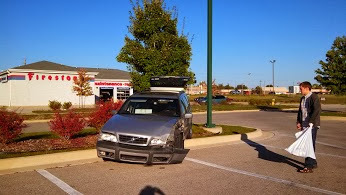 The Volvo did what it was supposed to do. The frame buckled and we both walked away. My husband went and looked at the site of the wreck and said that he can't believe we made it mostly between the tree and the light pole, hitting one with a glancing blow and bouncing off of the other. So my car is totaled. My body is shaken and sore. I will miss my stupid car. But we are not seriously hurt. The insurance company is giving us a fair price for the car. Life will go on. And my eye seems to have improved a little. Over the past couple of weeks, the prayers of my friends and family have surrounded me as an almost palpable thing. 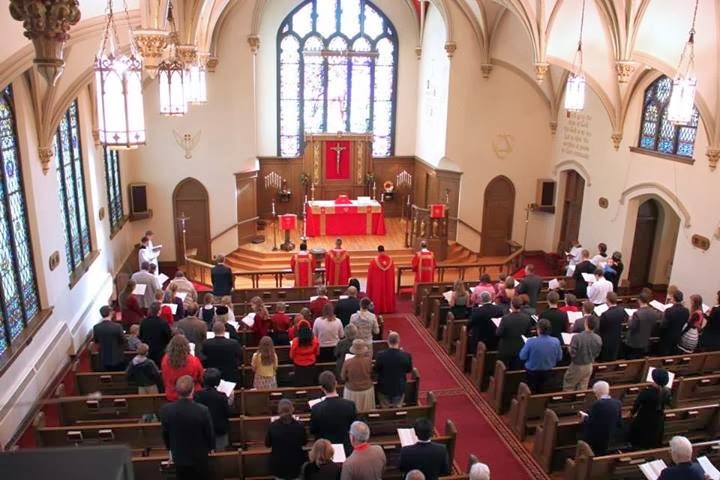 I have returned over and over again to some Psalms and hymns that are particularly powerful on themes of trust and contentment and the pure unwavering message that I belong to Christ and nothing changes that. I am basically a happy person. I am blessed not to be prone to depression. I bounce back quickly. It is one positive personality trait that offsets many that I don't like so well. But right now I feel a little bit of a need to focus, specifically, on all of the large and small things in my life that add to my happiness. So, each day for at least a month, I am going to post a picture and blog about one of these things. Some will be totally frivolous and some will be big and obvious. I'm doing this for me, but I hope that you will enjoy it too.